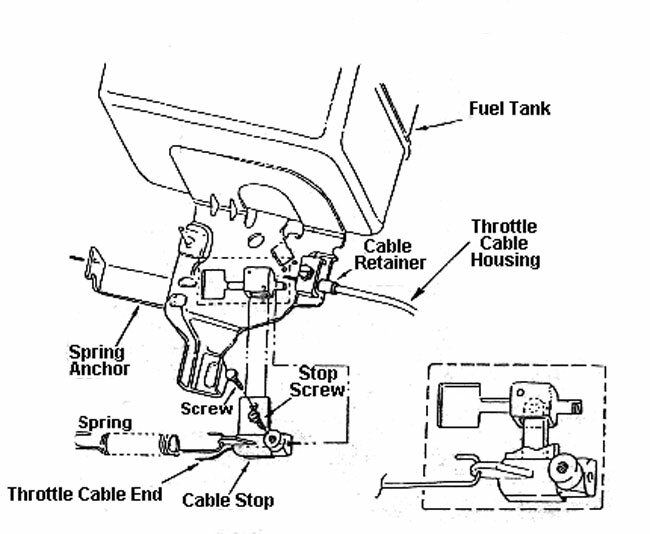 Ensure the spring anchor, spring and cable are installed as illustrated above. Ensure the throttle pedal is in the rearward (idle) position. Ensure that there is no slack in the throttle cable with no tension applied to the return spring. Ensure the cable housing is inside and against the cable retainer.